Ooma made exciting progress during 2009 and enters 2010 with strong momentum. I’m pleased to report that during 2009 Ooma achieved record adoption rates and is now approaching 100,000 subscribers. 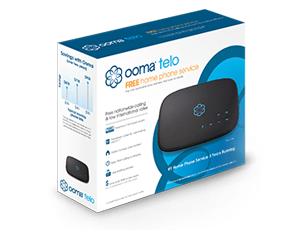 We ended 2009 with thousands of retail locations and launched the new Ooma Telo and Ooma Telo handset nation-wide. We also proudly announced several new features slated for introduction in the first quarter of 2010, which helps to strongly position Ooma as “the smartphone for your home.” 2009 was indeed an exciting year for Ooma. I want to give special mention to our newly announced Ooma PureVoice™ technology. In the business world, Internet telephony is widely deployed and works quite well, but in the home it has traditionally suffered from poor or variable voice quality. Ooma PureVoice is a breakthrough solution combining multiple advanced technologies so that even under suboptimal Internet conditions (for example when congestion occurs) you will continue to receive clear, high quality voice. On top of this, when calling Ooma to Ooma with Ooma HD Voice, the voice quality is truly remarkable. Please look for a demo of our superior voice quality which will be coming soon to our website. While I am thrilled with the accomplishments and momentum during 2009, I also recognize the areas where we need to improve. Number one on our list is still our customer support activity. During 2009 we made several fundamental changes to our customer support activity and while we saw improvement, I am sorry to say we are not yet where we want to be. I would like to express again that we truly care about making our customer support experience consistently strong and we will not stop taking actions and making improvements until we do so. Here at Ooma our vision is to change the game in telephony by providing you with a new and completely different kind of product – a product that saves you money, provides you with a better voice quality experience and adds features that truly add convenience and productivity to your life. During 2009, the number one reason people told us they purchased an Ooma was due to a positive recommendation from friends or family. We thank all of you for your support and your constructive input which helps us to grow and serve you better. We intend to make 2010 another incredible year of growth and accomplishment. Along with customer service, you also need to retain your customers’ trust. For example, your March 2009 press release promising Google Voice Extensions compatible with “current and future home phone systems” was an outright lie. If there’s a good reason why GVE couldn’t be supported on the Ooma Hub, you haven’t communicated it to customers. This is just one example. A company should stand behind its promises. I know I’m not alone among Hub owners in feeling that you’ve betrayed us in a misguided attempt to drive Telo sales. i absolutely agree with Jim here and the rest of the angry Hub users on the other threads. its a shame you are slowly turning greedy. we thought you’d take the route of an Amazon, instead you become PayPal. such a shame cause your amazon ratings are starting to reflect this as well. Ooma should also make more compelling offer for international callers in comparison to Vonage. Vonage offers unlimited calling to 60 countries including India for $25/month. Most Indian families use about 1000-1500 minutes/month calling to India with Vonage. With Ooma the monthly charges will be $12/month for premier+$5/month for 500 minutes + $42 (500 minutes at 8.5c/min) for another 500 minutes and with Vonage you don’t pay anything for equipment. No wonder many of my Indian friends have switched to Vonage. This is the main reason Vonage gained subscribed recently after continuously loosing them last year. Congratulations on a big year, Eric! Here’s to many more!! I see a point in what Rajesh is saying. International calling has become cheaper. Why not offer 500 minute package to all OOMA users, not just to premier subscribers? If it makes sense, why not charge 1c or 1.5c for all international calls to those 60 countries? You may also offer one month free premier subscription, if the customer made $20/- calls, just as an example, in the previous month. However, I was a Vonage customer, and would never go back, even if they offered completely free service. OOMA’s voice quality is unbeatable in the VOIP space. I am a Hub user, and am very satisfied with OOMA, so far. My wife and I made a New Year’s resolution that we intend to only do long-term, repetitive business with other businesses that clearly put customers first and excel at customer service. Les Schwab, in the tire service in the West, is unbeatable when it comes to customer loyalty and service. I am loathe to buy tires anywhere else no matter the price. USAA has wowed us with their user-friendly website and completely reliable customer service. We use them for banking, investing and insurance. We are new to Ooma, but we are looking forward to see if the device works as advertised and if the company behind the product lives up to the hype. Good luck in 2010. Any word on when PureVoice will be made available? Any updates on expected time frames would be appreciated! I stand by Jim and 1000′s of other Ooma hub users who have about had it, who like myself have brought countless family and friends to buy ooma and ooma telos.. I was told clearly Google Voice Ext. would be coming to Ooma Hub, and that was one of the main reasons I bought it, and told my friends to do the same, I hope you change the way you do things quickly, because as quick as you became popular, the same customers you made you what you are can bring you down over night, and you will just be another ‘fad’ of the past. Google will be giving free VOIP soon, along with everything else they are doing, if you don’t stand behind your customers and stick to your promises your going to be 6 feet under them… I want to see you succeed, but I’m quickly losing hope..and see just another sunrocket with empty promises in the works..
Ooma is amazing. Have had it over a year with ZERO problems. It’s really amazing how much people complain about everything. If you want to use Vonage use it but keep the griping to yourself. If you bought something expecting every additional add on to happen and to be cheap from a basically new company in its infancy, you’re a fool. This isn’t verizon or some other monopoly with a huge operating budget and infrastructure, it’s akin to a good old fashioned mom and pop. Give ooma a break and make wiser decisions in the future. To me, the CEO post of improving customer support is nothing but an empty promise. For months (perhaps longer), customer service hasn’t just needed improvement, it needs to be totally overhauled, and NOW. Not once has an “ooma email” I sent every been answered. Not once has anyone in customer service ever “called me back within 24-48 hours”. (Or ever). I could go on and on. Please get rid of the cheapo call-center in the Philipines staffed with clueless operators who are often nice enough (ok, stop apologizing to me already, and just FIX the issue I’m reporting, please). Open up a call center staffed with properly trained technicians who have a clue. And stop promising to return phone calls and such, when clearly you never intend to do so. I’ve *stopped* recommending Ooma to my friends because of the absolutely horrendous support. I’ve decided to not renew my premiere service as well, due to the Google Voice issue outlined above. Ooma: Due to your horrible customer service and empty promises- you’re losing money. Figure it out. The best part is that they will not respond to any comments posted here. I too want to know about the Google Voice integration. Ooma said in november last year saying that it is going to introduce unlimited international calling starting at $ 9.99 per month. So far, there is no news after that. They introduced the $ 4.99 per 500 minutes so select destinations that too for premier customers. They should have let basic or core customers to sign up and they advantage of that plan. Every time, ooma comes up with lot of features but it takes forever to implement them. They should at-least give the time frame for that. I am quite pleased with the hub except for what I recently learned that Google Voice Extensions will not be available to hub customers. I also seem to see many other promises being made such as numerous smart phone features added not just the Iphone but even the Motorola droid is a cash cow for you but still nothing even after CES.I was about to add premier service but at this point I doubt it until I see some of your customer promises either changed or revised.Hopefully you will listen to the many customers you will be losing if you dont try to look at things differently.Since CS in the Philippines is poor at best why not do more of the CS on the forums? I see some of your moderators like ntoy do more than the CS people do on the phone.I wish you luck in 2010. I had an impression that GV extension was going to be available only on Telo devises for people/accounts with premier subscription. I was never made a promise to the contrary. Based on my experience with OOMA, some people seem to be un-justifiably harsh on OOMA. Anyways, I fall in the happy camp of OOMA hub users. 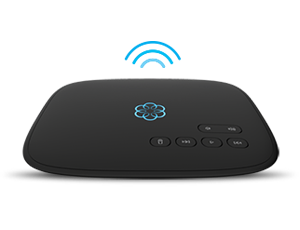 I brought OOMA hub based on the feature set available at that time. My only concern then was if OOMA could survive until I recoupe my investment; OOMA survived much beyond and I am reaping benefits. Congrats on a good year, and for our mutual benefit I hope you have many more. We bought a Hub/Scout system a few months back and it has been working perfectly with our two phone numbers. Because of several factors I have needed to call the customer support people maybe 10 times. In one instance the person was somewhat hard to understand. In every other case the support person was friendly, understandable, and helpful. No issues with support here. The feedback on sites such as Amazon is overwhelmingly positive. Keep your costs down, don’t make things complicated, and growth will continue. BTW the installation diagrams and documentation were needlessly complicated for the Hub/Scout system, but since the new focus is on the Telo product, there’s probably no need to revisit that issue. Hi. I have been using OOMA Hub/Scout since November. I am very pleased with the service so far, everything has worked as advertised. Here in New Hampshire our phone service which used to be Verizon but is now Fair Point leaves much to be desired. I believe Fair Point has filed for Chapter 11 so OOMA is a welcome alternative. Since I am in a very bad reception area for my cell phone service my only concern was the availability of 911 over OOMA in the event of a power failure during a winter storm. We do lose power a lot during ice storms in the winter. So I have set up a walkie-talkie arrangement with my neighbors in case I have an emergency during a power outage. (They have kept their landlines just in case.) Seems to work fine for us. I just spoke with a customer rep, Valentine, who was rude and unfriendly in response to to my questions about Ooma. The system is not capable of handling all that it says it can handle. On the other hand, I also spoke with a customer rep, Sandy, and she was an absolute perfect customer rep. Ooma should have Sandy train all its customer reps.
Google voice now available to HUB/Scout user’s with premier account. Glad to see Omma listened to the customers. Now only if they could do something for international callers. As new customer I would love to say the quality of Ooma’s service is excellent, but the fact is the quality is terrible. I like so many other Ooma customers are learning (See your own discussion boards) that when you call others, they can’t hear you very well! I want this to work, but if you can’t do something to address this QoS issue, I will have no choice but to go back to my telco. GROW UP, WHINERS! If you want more than ooma is offering, GO FIND IT ELSEWHERE and leave ooma alone. SELL your unit on ebay to recover some of your “sunk cost”, in case the free phone service hasn’t made you money yet, and then GO ON with your life. NO service can be all things to all people, and you are simply *NOT* ooma’s main target market. Accept the rejection like a grown-up and find a better match to your needs elsewhere. Simply as that. I am (happily) one of the many unsophisticated millions that can greatly benefit from ooma’s offer. We are at least a decade behind you, and our needs are quite simple: just gives us what AT&T and the Bells gave us for decades. Easy to use, reliable phone service. And some typical features that they also offered, like caller id, voice mail, and distinctive ring or second line. AND THAT’S IT! One day I may “need” more features, but at the moment I (we) clearly don’t. So were very happy with ooma. Not having a monthly phone bill is a revolution for me, similar to free gas for life. Yes, $10 bucks per year, so what? Does that bother you? Really? After spending $6,300 on Vonage over the last 7 years, I giggle when I think on how I will spend all the money ooma is saving me. I’m interested in the softphone feature that Vonage has. I play with Skype and use the phone adapter to make calls.